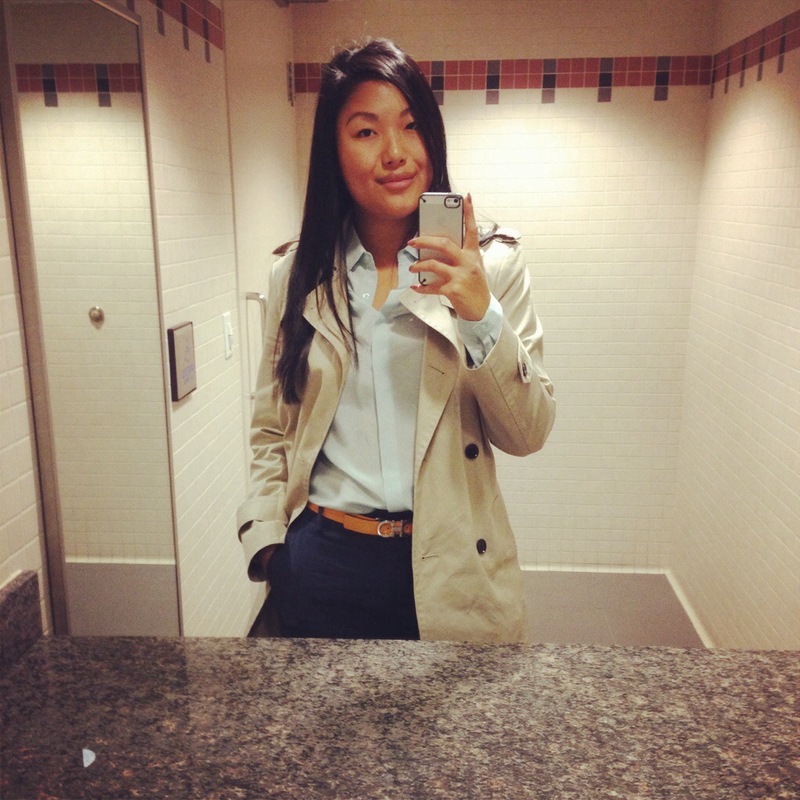 Tag Archives: Salvatore Ferragamo Italia S.p.A.
It’s Thursday, so it means I take my weekly bathroom selfie. Today I wore, the bottom half of a Banana Republic blue pantsuit, a light blue Uniqlo silk blouse, a Banana Republic trench and a Ferragamo yellow and black reversible belt. Black pumps not shown. A friend of mine commented that I looked like a detective. Been watching too much Homeland – I’m channeling Carrie Mathison. Hope you had a great week so far!